If you’re set on insulating your own roof and attic, here’s a brief overview of how to do it like a pro. Proper roof insulation can improve the energy efficiency of your whole home. A roof that is exceptionally cold or hot will shift the temperature of the home, causing your heating and cooling system to work over time. Proper roof insulation is especially important in a place like Avondale, where the temperatures reach extremes. Before you can lay down the insulation on your attic floor, you need to determine if you need a vapor barrier. Some sheet rock includes a vapor barrier on the back side already. You can recognize this sheet rock by the silver on the back side. If you don’t see this silver, you will need to install a vapor barrier. Lay it on the floor and staple it to the side of the joists. Cut a hole around any electrical wiring or components. If you are using blanket insulation, wait until you are in the attic to unroll it and minimize the mess. Lay the insulation between the joists and tuck it in at the sides, but don’t compress it. If you have to join two lengths together, make sure they are end to end with no space between them. Cut a hole around any electrical components, and raise any wires away from the insulation. These components should not get overheated. For loose-fill insulation, you’ll want to just scatter the insulation around after the vapor barrier is installed. Place pieces of blanket insulation by the space where the rafters and joists meet. Ensure even coverage and the proper depth as you work. Rafters have to have a certain depth of insulation to meet code requirements. You will have to check with your local ordinances to determine the requirements. Typically, you will need to add wood to the rafters to meet the requirements. You will need to apply the blanket insulation the same way you would for the attic floor. If you want to finish the attic, you’ll need to add an insulation-backed drywall to the rafters. Typically, insulating the attic and roof are a lot more complicated than it seems. 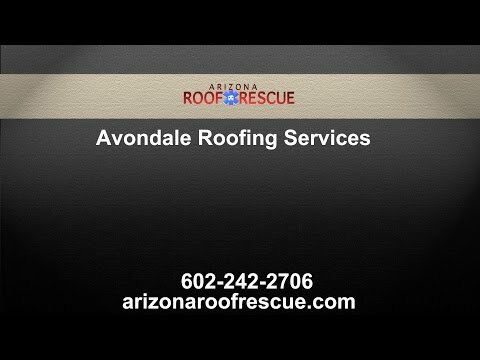 Working with a roofer like AZ Roof Rescue is the best choice. A roofer can not only perform the job quickly, safely and properly, but can also advise you on the best insulation options for your home. There are many more types of insulation than those mentioned above, including spray-foam insulation, which has superior energy saving properties. Contact a roofer from AZ Roof Rescue for all your roof maintenance and repair needs.